When games aren’t really games. Wait for the ring to surround the space invader. Hit the headswitch when it does. Change to the communication app. Wait for the green box to surround the words you want to say. You guys can control the screen time of your kids all you want. I get it. It just doesn’t work for our family. 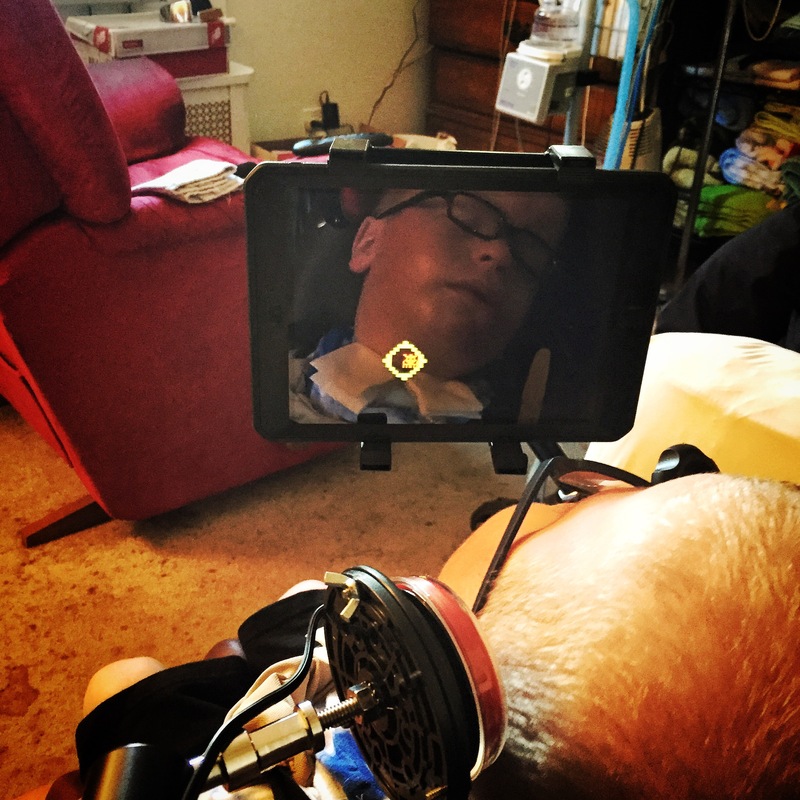 An ipad with a headswitch acts as Liam’s voicebox, in the same way that his vent acts as his lungs. And not so long ago neither would be possible. Especially at home and not in an institution. Not so long ago, the technology wasn’t there. The Limited Edition Olson & Son Hopyard T-shirts are still on sale at this link until September 1st. If you’d like the hottest Pressuresupport and hopyard gear do not miss out on this sale. We have achieved our goal number needed to guaranteeing a print run, so there’s no doubt that shirts will be shipping out about 10 days after the sale ends. I want to thank everyone who has ordered, or shared the link for all of your help and support. So many people shared the sale page link that I was near tears at work trying to thank everyone as it was happening. It happened so quickly that I was overwhelmed by how many of you out there wanted to get the same shirt Liam and I wear. The Olson family appreciates all of you.